It's been awhile since we have been able to just update on our happenings so I thought this blog would be a mishmash of different stuff that we have been up to. It has been very busy as of late, with lots of different stuff going on. We had our grand opening for our Pastor Resource Center at our main office. The pastors cannot afford books or DVD's or tapes to grow in their knowledge as pastors, so we have a place where they can have check out books to aid them in their study preparation and in their bible school classes. We also purchased 10 Mp3 players so that pastors can check them out and listen to sermons. My cousin Matt spent a bunch of time downloading sermons and then sent them over on DVD's so we have downloaded those and they should be listening to sermons on MP3 very soon! Thanks to some generous donations and some great scouting out by our computer guy Rob Taylor at the Action Intl office, we were able to buy some refurbished laptop computers that we can use to teach these pastors how to use computers but also for Logos Bible Software which was donated for the purpose of setting up a pastor resource center. We have an intern (and a former youth group student, Tyler Dingman) who is coming over for a few months starting in April to help train pastors in how to use computers and to also train them in Logos. He will also be helping us get our feet off the ground with setting up pastor blogs for those who want to sponsor our pastors for $55 a month. Our goal is to set up a monthly updated private blog for donors to keep updated on the happenings of their adopted pastor. It may be as simple as a picture or a recorded greeting or video of the pastor in action. For just $55/mo, YOU could help one pastor afford the costs that are incurred by running a school like ours as well as help provide transportation costs and as food for his family for the three year term. You can commit to just one year at time if you would like. If you want to help out or go in with some friends for a year, here is the link and please let me know if you do sign up! We have five of 16 pastors for the Action Bible Institute set up. We'll keep you updated on the progress. It has been a busy time of ministry, but the reminders of poverty are not far behind. Driving back and forth to the office three times a week, I begin to see patterns of life. One of them is this little boy who I see literally every time I drive back from class to my house. He pushes his mom and the little baby to the shopping area, Shoprite, and back, rain or shine. I haven't seen exactly what they do, but I am sure they are begging for money. Jason and Kristi Knifong have been friends for many years and while we were home having a baby, we visited these Portland friends and began sharing about some needs in our ministry. Well that was Nove mber and now it is February and they are here visiting and checking things out to see if God is indeed leading them here to be missionaries with ACTION Zambia (how fast things can change:) by leading our Ciyanjano Centre Conference center out in Kasupe. They have always wanted to be missionaries, but didn't think there was a place for regular people on the mission field. How wrong they were! 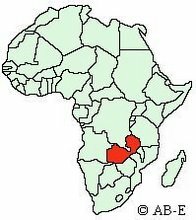 It turns out we have been looking for someone who can run the retreat center while helping develop the land and help mentor and disciple Zambians. With Jason's electrician background and the experience gained while running their little 3 acre farm with chickens and gardening, they are the PERFECT candidates for helping develop and run this conference centre. Well, it isn't a done deal yet and their are still a lot of steps to climb, but what a blessing it has been to have them out here. Here is the blog of Kristi Knifong and you can see first hand their journey to Africa (and a lot more) on her blog! There is still another family, the Huckaby's, who I met years ago in Bellingham, but recently became acquainted with while preaching at Oikos Church in Bellingham (whose pastor, Pete Williamson is coming over to teach at a pastor's conference in ApriL) who will be coming to check out our minstry on Sunday as well. Again, perfectly matched with gifting and skills to maybe come alongside the Knifongs and run this piece of property. It is all up in the open right now, but just wanted to update you on what is going on in our ministry. Lastly, we took the Knifongs and our family to visit the House of Moses yesterday. They are a really well run ministry that cares for orphans from birth to 2 years old. We held babies, fed them and learned about this ministry from Irene, the sister who was in charge of the house. (The picture here is of little Johanna and an orphan held by Irene- this is the only picture they would let us take so as to protect the children). They have 26 children there with a variety of stories that will break your heart. We were so encouraged by this ministry. In addition we went to give them some money that the Northlake Children's ministry donated while doing their Vacation Bible camp. It was a blessing that children there can give and sacrifice for children here.